Ocean's 8 (2018) is a action heist movie set after the events of the original Oceans franchise. Directed by Gary Ross, this entry stars a full cast of actresses, including Sandra Bullock, Cate Blanchett, Anne Hathaway and Rihanna. In this entry, we see Debbie Ocean (played by Bullock) get parole as she has a plan to commit a heist on one of the most prestigious events in America - the Met Gala. I have not seen the original films from the Oceans franchise. Then again, I wouldn't say that I am the target audience for the franchise. I am not one for heist movies unless they have some twist in it (like the magic element in Now You See Me) and I don't particularly watch these films because the actors are attractive. That being said, I wanted to give Ocean's 8 a chance. The cast list for this film is incredible and whilst I haven't enjoyed the "female remakes" such as Ghostbusters, I still want to give them a shot. This is a short and simple film that only really has one focus point. The entire focus on the film is the heist. There is no build up to the idea or side points, the true focus is the heist. Yes, there are small side stories, but they really don't have any effect or go further than they possibly could have. This is a nice fun film that doesn't diverge away from the main themes and story. I almost feel like there is no pay off because of this though. You really don't feel like there is any shocks or twists - even the reveal at the end is very predictable. This is great for those who love these sorts of movies, as it just follows the same formula. Ocean's 8 doesn't present anything new to the table, or diverge away from the genre. This meant that this film still wasn't meant for me, and I was not a fan of the film. Out of the eight main characters, they all had a different personality and back story. However, I really couldn't connect with many of them. Yes, they are all portrayed well by the actors that played them, but I just didn't like them. 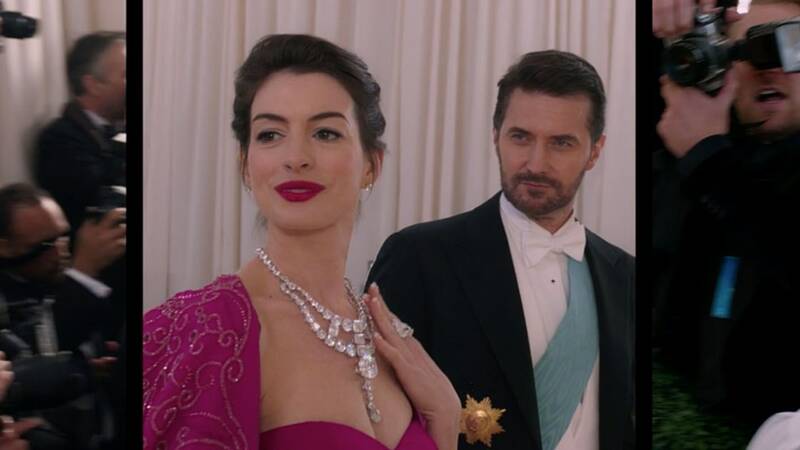 Out of them all, Anne Hathaway was easily the most likeable of them all, and also potentially the smartest. You wonder where her character is going when you compare the poster and trailers to the start of the film, but by the end it makes sense. Overall I was just annoyed by several aspects of the film. I didn't care about the unrealistic aspects of the heist, as most heist films follow this formula. However, the characters started to get a little annoying and I really did not like the soundtrack to this film. The repeating track that would play just sounded off beat and didn't match the action on screen either. I also found the choppy transitions through to editing really distracting and off. Unlike Ghostbusters though, this film clarifies why this movie has a female-heavy cast for a remake. There was a really clever line added, and it makes sense in the context of the film. I am still not a fan in the slightest to making films feminine rather than making feminine films, but if they are going to do it, I appreciate when they explain why they chose to. Whilst there are some fantastic scenes that were fun to watch happen no matter how unrealistic they were, I just ended up getting annoyed by the film. Ocean's 8 follows the same formula that most typical heist movies follows, and the unlikeable characters had me not enjoy this film that much. The cinema was packed and my mum really enjoyed it, so if you are into heist films or the Oceans franchise, you may want to still check this one out. Have you seen Ocean's 8 yet? What did you think of the film? Let me know in the comments below and I will make sure to get back to you!